I will NOT be providing eBay with my SSN. If they need it for 200/20K tax purposes then ok they should be fine with an EIN. I don’t trust eBay enough for them to store that information. Nor do they need to do an ID check when most of us have been with them for many years. This is all too much. I opted in, if they're going to make it mandatory why not be the 1st doing it at a discounted rate. 30 Deposits into my checking account rather than the normal 2 will make for quite a bit of extra account validation. And I don't want them taking money OUT of my account or charging my card for returns. They had best retain some money in our eBay account to cover that, like we left it in our PayPal account. This whole idea is scary, knowing about all their endless glitches. Why couldn't they let us ask for the amount of money we want deposited into our accounts like we did on PayPal. That should meet everyone's needs. At least eBay is offering to give you your money daily. How does Amazon pay it's sellers? Once a week or once every 2 weeks? There is no reason ebay should REQUIRE your SSN. If they can not accept a EIN for tax reasons then they need to double think their business model. Every single thing about this should scare the pants off of you. Lower fees? So they are raising them AGAIN? Higher than paypal's processing fees? September? Yup, right during the busiest time of the year. What could possibly go wrong...Special invitation? So some sellers are more special than others? OMG so glad I'll be gone by the end of the year. SSN to ebay? Again, what could possibly go wrong.. This is a huge recipe for disaster. Ebay can't get a 15% off coupon right... Seller protection? You mean vaseline of course.. free from ebay. Because that is all you will need when ebay controls your money. What about PayPal working capital? Thousands of EBay sellers are in this program including myself, what happens with those? 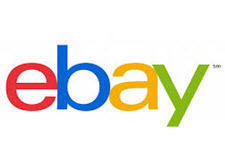 Has EBay made an agreement with PayPal to continue to disburse funds to them going forward? I have seen no mention of this and it's a very big deal for a lot of sellers. They say DAILY once Cleared? Pay attention to the language here, cleared could also mean once delivered. I really think they are going to try an put delivery matrix in to funds release especially for newer sellers without a doubt. Don't forget who this is EBay! Am I understanding that all payments will go through EBay? 1. So a buyer pays via Paypal but it's Ebay Paypal and then disbursed. And in the listing, if they use PAYPAL that the shipment would be shipped the next day. BUT * if Cleared means shipped and received. NO WAY! am I sending out my products without that money in hand. "Better protection: claim and chargeback seller protections provided by eBay, with one place to manage disputes." I think we all know that on eBay, there is no such thing as seller protections, so this should be of concern to everyone. Since they will have access to your bank account, if a buyer makes a SNAD claim, you can bet eBay will be dipping into the seller's bank accounts to refund the buyer. New job, more money, he had zero experience when hired by Wenig. Just a lawyer with no cred and no success at anything. Um, I suspect they HAVE to get your social security number. I suspect it's some form of the Patriot Act or some such nonsense- with the know your customer portion of the law- if you remember it was passed to make it difficult for terrorists to launder money (and if you don't provide it to them, then the terrorists have won). EBay could technically be falling within the banking laws if they process payments in this manner, and may be REQUIRED by law to have a SSN on file. We can debate the merits of them making this move all day long, but again I don't think they're asking for the information as they think it would be pretty cool to have on file but rather because they HAVE to have it. As usual everyone is against anything Ebay does. I for one will welcome September to sign up. You people will also be joining me in the future whether or not you want to. You want to sell on Ebay you will join me. Its pretty obvious they will raise the final value fees later this year - i predict minimum 15-17.5% minimum FVF for all categories. @toolguy - Oh you believe Ebay when they say you will receive daily withdrawls ? @sasikat9 typical cheerleader - did someone send you ? So naive, Toolguy. It's not a promise of 'lower fees forever'. It's 'lower fees' - for now. And they won't tell you what those fees are - sounds honest to me! ''From your bank account, you can access your funds directly'' - how kind to give me what I already have! ''claim and chargeback seller protections provided by eBay, with one place to manage disputes'' - nothing new here. And, as somebody already said, not all that great a protection for us. ''We're still continuing to work on additional details.'' - So, they're not even ready to roll it out. Great time to 'opt-in'. ''All cleared funds will generally be paid in a daily batch'' - define 'cleared funds' and that special catchphrase 'generally' which really could mean anything or nothing. Sorry that some felt compelled to call you a name just because your view may be different than theirs. As if somehow their opinion is better or more important than yours. I agree with your observation. While this whole thing makes me quite nervous since Ebay seems to have self inflicted problems implementing most anything. But the good thing is Ayden isn't new at this, so they may be able to help guide Ebay a bit to make it an easier transition than it otherwise might be. So I'd go in with my eyes wide open and with an abundance of caution. But I too would do the Beta program. And I like the perk of lower fees. Egads! And the fubar continues. I sell on ebay and it does have its merits but even the cheerleaders have to admit that ebay rarely touches anything that doesn't go south and even when they get it right, they mess it up down the road. 13#M1204541 so I give that as much credence as the guy trying to sell me a bridge.